When Nintendo revealed the existence of the Super NES Classic Edition, the Internet went wild. For many of us, the Super Nintendo was our favorite gaming console growing up. Indeed, it harbors one the best video game libraries of all time with many titles imbued with gorgeous pixel artwork and astounding soundtracks. Polygon was lucky enough to go hands-on with a pre-production SNES Classic Edition. While they couldn’t power it on, they were able to grab some photos of the mini-machine. One of the questions that initially popped up was how the controllers would hook up to the console. The ports are the same as the Wii Classic Controller, and on the NES Classic Edition they were right on the front of the machine. However, when we saw pictures of the unit earlier in the week, the only “ports” we could see were the traditional SNES controller slots. We saw that the European and the Japanese Super Famicom Mini systems revealed the controller ports by pulling down a panel to reveal the Classic Controller ports. It turns out, the Super NES Classic Edition features the same functionality. For those that have played a North American Super Nintendo, another unique aspect was found on the SNES controllers. Unlike other territories, these controllers features concave “Y” and “X” buttons and normal “B” and “A” buttons. I’ve always thought this was a cool design choice because you can easily tell the difference between the buttons just by touch. It is perhaps an unnecessary function, but something I always liked about the controllers. When Nintendo showed of promotional images of the Super NES Classic Edition, I right away noticed that the controllers appeared to have gotten rid of the convex buttons. I admit to being slightly disappointed because I grew up playing with the original controllers. Also, from a historical perspective, it bothered me that they could get so much right and miss this small detail. However, in the pictures taken by Polygon, the controller seems to have the convex buttons back! So now the question is, which version of that controller is final? Of course, all of this is moot if you can’t find one to purchase when it comes out on September 29, 2017. As of this writing not a single U.S. retailer has begun taking pre-orders. This was a similar problem last year with the NES Classic Edition. 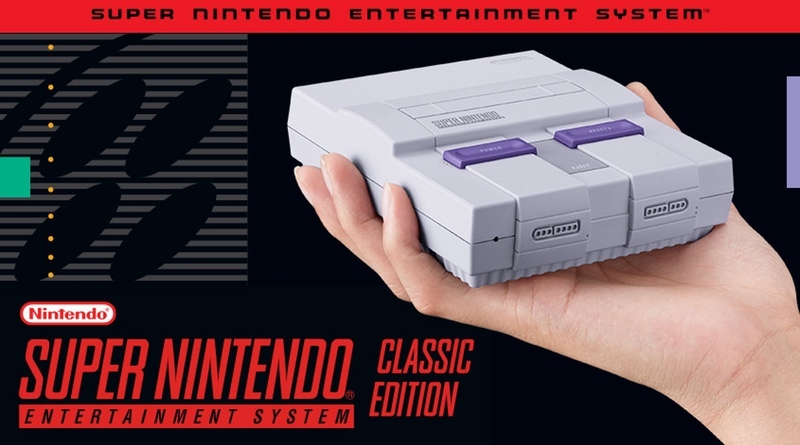 While Nintendo has said they are going to launch with many more units of the Super NES Classic Edition, the situation could be even worse this time around now that everyone knows what a challenge it was to find the original. For just once, it would be nice if Nintendo oversupplied a product that, judging from its reception, will be incredibly popular.